Following the birth of our daughter, Annabelle, we began to notice small things that didn’t seem right. From a very young age, Annabelle had many chest infections, and it became evident that she wasn’t reaching milestones at the correct stage like most other children her age. At 10 months old, Annabelle was admitted into hospital for a month due to a severe chest infection and it was after this admission that investigations started, with lots of hospital appointments, MRIs and testing. 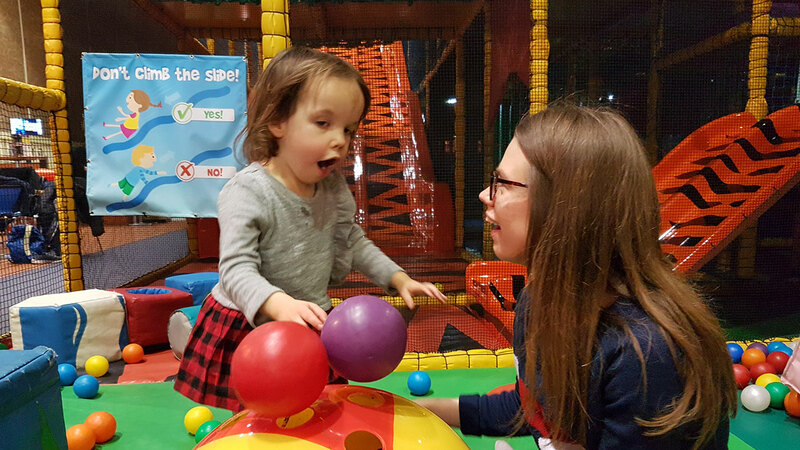 Following this, Annabelle was eventually diagnosed with Global Developmental Delay, Hypotonia and Cerebral Palsy, although the diagnosis was very gradual. We felt that very little information was provided following the diagnosis, and therefore had to do a lot of our own research. The diagnosis initiated a grieving process, and we felt there was a lack of follow up care for the family. Annabelle’s conditions have a large impact on us as a family. We have had to teach Annabelle everything; things taken for granted such as sitting up and walking have had to be taught, all of which require lots of input, time and energy. The diagnosis has also impacted the relationship between me and my husband, with us being fully invested in Annabelle and the progress she is making. Additionally, Annabelle has constant and on-going appointments, including medical appointments and therapy sessions, which average to around 12 appointments each week, leading to a very structured and busy life. We were introduced to The Maypole Project through a combination of a friend who already accessed the service and a health visitor who suggested the project; finding the referral process very positive for us as a family. As a family we access couple counselling, individual counselling therapeutic play sessions for Annabelle and play therapy for our older son James. We have found couple counselling incredibly helpful, with it providing us with the time to open up to each other and communicate, enabling us to go through the grieving process together. Additionally, it has allowed us to explore our thoughts and feelings, and feel it is an invaluable support service. Through the therapeutic play sessions offered to Annabelle, she has made lots of progress and loves attending the sessions. It also provides me with one hour to do other things, which may not seem a long time to others, but enables me to check my emails and take a little bit of time out from being both Annabelle’s mother and carer. Before starting play therapy, James, aged 5, was displaying aggressive traits. However, as the play therapy sessions have progressed, James seems to be a lot calmer. The Maypole Project really does focus on the entire family, and the flexible nature means that unlike other services, sessions can be scheduled to fit into our lives, and are not limited just to evenings. We feel the Maypole Project really does provide ongoing support, and is always there when required. Our son Charlie has Spinal muscular atrophy, a progressive neuromuscular genetic condition which affects his respiratory muscles and movement. We began to notice that Charlie was having difficulty sitting up, crawling and walking; and a referral at around 11 months old to a specialist resulted in a diagnosis when Charlie was 15 months old. We were referred to The Maypole Project by social workers and the disabled children’s team due to Charlie suffering with anxiety when being on his own. 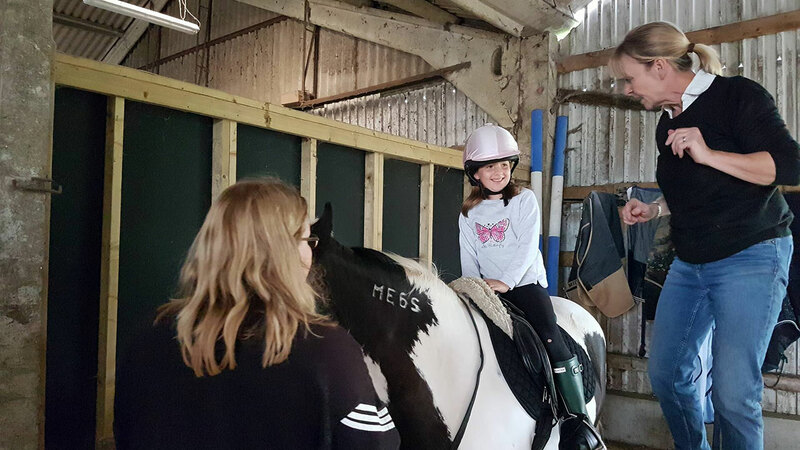 Following this referral, Charlie began to access play therapy when he was around 6 years old, and has now been attending this for around 2 years. It took a while to notice any improvements due to Charlie suffering from a few knockbacks at school, but gradually through this therapeutic intervention he has grown in confidence and the play therapy has helped to teach him the necessary coping mechanisms for daily life. The play therapist has also visited Charlie’s school on a few occasions to offer support and advice which has been fantastic. 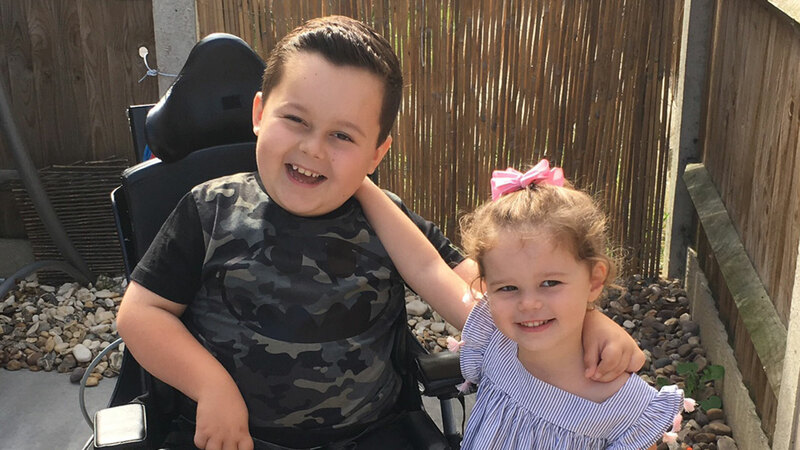 Charlie’s conditions means that he has ongoing medical appointments and therapeutic sessions to attend to, which can be quite overwhelming at times. As a result, I regularly access the individual counseling service which The Maypole Project offer, which provides a space for me to voice my concerns and any issues I may be struggling with. In addition to these services provided by the project, we regularly attend the Gambado evenings. I wouldn’t normally contemplate attending the same venue on public days due to the vast number of people present which Charlie can find overwhelming. However, he really enjoys the privately booked sessions and they give him the opportunity to have fun in a safe and secure environment which is great. Bringing up a child with a complex medical need can be really tough at times. The Maypole Project is there to listen and offer support whenever required; and as a family we really feel they care for us and feel listened to. When my son was 4 years old, he was diagnosed with autism and learning disabilities. He was later diagnosed with Epilepsy and a sensory processing disorder, and now aged 12 is non-verbal and currently being tested for ADHD. I started to access the services that The Maypole Project offer when my youngest daughter was 3 years old, feeling rather overwhelmed at the thought of bringing her up alongside my son. I first used the befriending service which was very useful and helped me to get my head around all that was occurring within my life. My daughter then began utilising the sibling support group which helped greatly. The Maypole Project organises many activities and outings which enable my child with special needs to be alongside their sibling which is lovely, and something which not many other services provide. My daughter recently attended a sibling only outing. She loved the trip and it was great for her to be surrounded by other children who were in the same or similar position to her. This trip was followed by an all-inclusive trip, which my son and daughter could attend together. My son attends many other clubs, such as swimming, which cater specifically for his needs, but can leave my daughter feeling rather left out, so this unique aspect of The Maypole Project is brilliant. The staff on these trips are amazing, and through a combination of experienced staff and volunteers this helps to ensure that the trip is as exciting as possible for all the children attending. 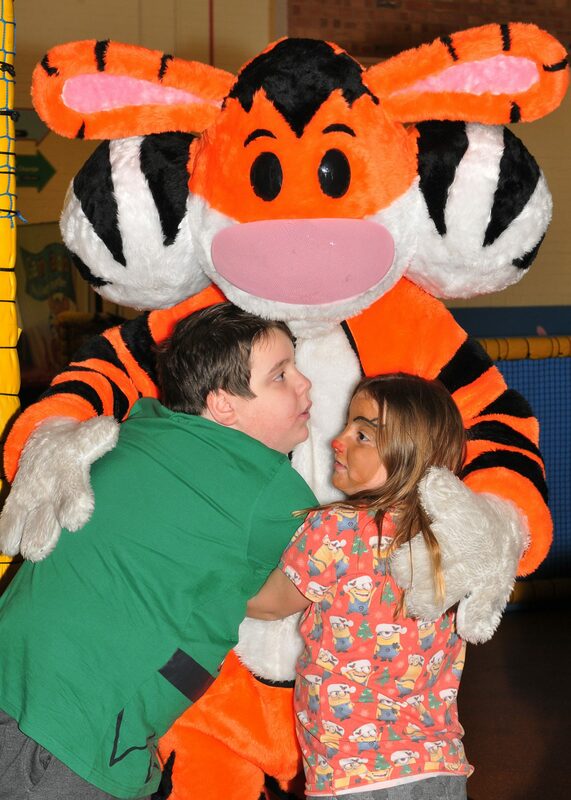 The Gambado play evenings are another service which we regularly use as a family. As my son is now 12 years old, a soft play centre is usually inaccessible for him. However, as these evenings are dedicated to Maypole families only, my son and daughter can have fun within a safe environment; whilst I am able to catch up with the other families. The ‘Get-Together @51’ mornings are also great, and provide a space to socialise with other Maypole families over a coffee and cake. These sessions are very relaxed and informal, an environment which doesn’t feel pressurised or forced, and through chatting with other parents I often come away with lots of helpful tips.